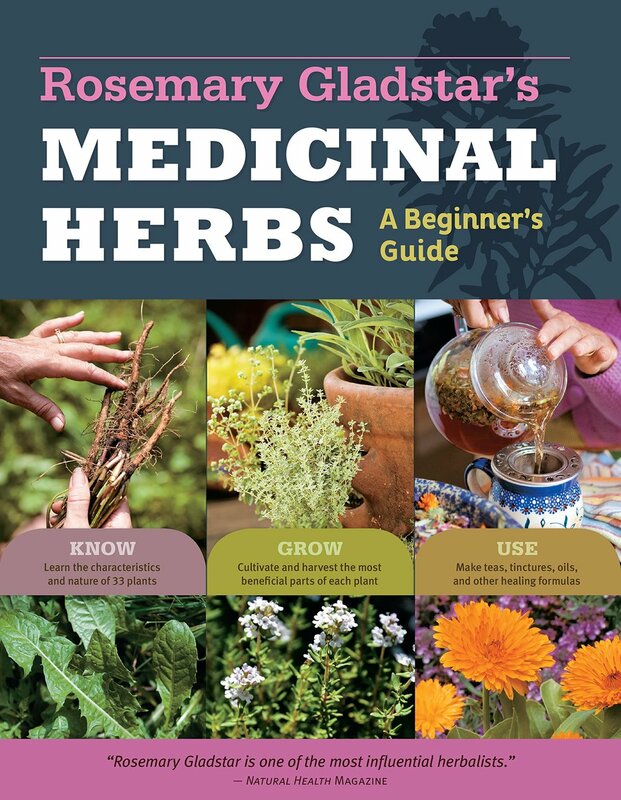 When I first started learning about herbs, I read every book written by Rosemary Gladstar that I could find. There's just something about the way that she introduces people to herbs that is charming and makes the personality of the plants easy to remember. Herbal Healing for Women is still one of my very favorite herb books. When I heard that Rosemary was writing a rare book specifically about herbs in relations to men's health, I could hardly wait to pick up a copy and read through it. Herbal Healing for Men doesn't disappoint. The content is exceptional, the photographs absolutely beautiful, and all of the information within is presented in Rosemary's signature easy-to-grasp, easy-to-remember way. Everyone needs a copy of this treasure of a book in their herbal library. The book's content makes herbs for common men's health issues easily accessible so that even a beginner will know exactly what to do to start using herbs to support health. The book starts at the very beginning with an introduction to herbs and how they are used, then moves into preparation techniques and specific formulas developed to address men's health issues, combined with tips for diet and lifestyle changes to help support the issue as well. All recipes are simple, easy to follow, and are both beginner friendly and "busy-working-man" friendly. Common complaints from young men just starting to transition through puberty through issues that affect the elderly and men of all ages in between are covered. A beginner-friendly man-specific materia medica section is included. Overall, it's a great book for men and the women who care for them. You can find an excerpt from this title, along with an interview with the author, in the August 2017 issue of AromaCulture Magazine. 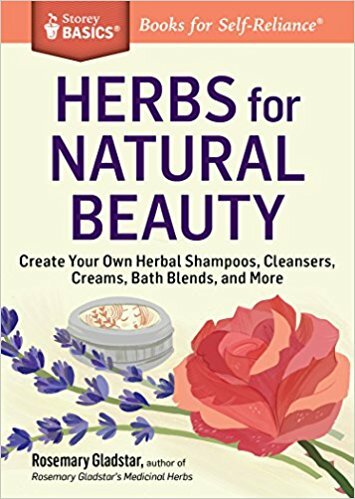 A handy little book, this title is a short, quick read that covers supplies and ingredients used to make natural skin and hair care products at home. Clays, carrier oils, hydrosols and essential oils are all covered, along with herbs commonly used for natural beauty. Herb profiles include which part(s) of the herbs are used and how they are used specifically for skin, nail, and hair health. The book includes about 30 recipes for skin and hair, with options for customization to suit different skin types and hair colors, etc. There's also a section on henna and herbal combinations for natural hair color. It's short, sweet, and to the point with a lot of Rosemary's signature recipes that you'll use over and over again. What I love about the recipes in this book is they're the tried and true ones that are practical, usable favorites with lots of room for play.